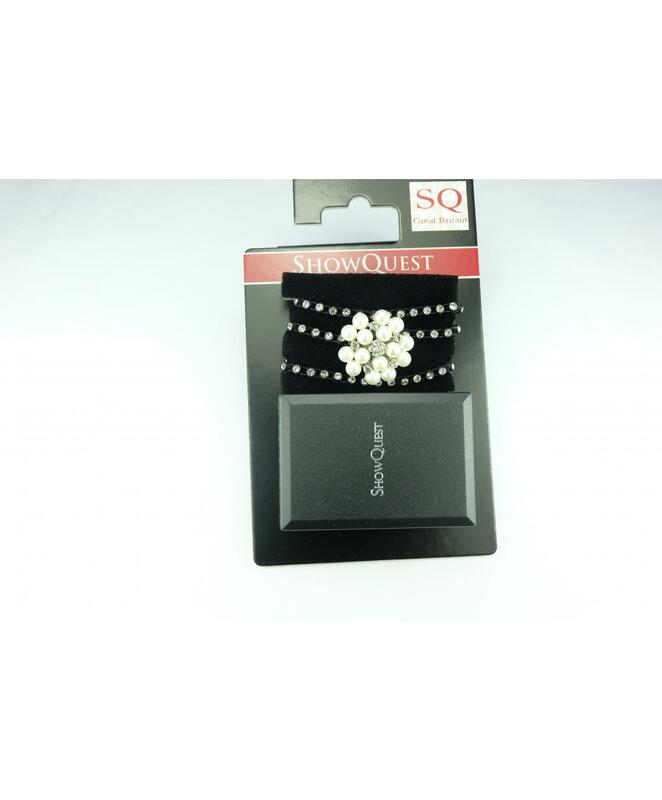 Showquest Hat Band, made with strong crystal elastic with a beautiful setting of pearls and crystals. This is of one size and fits most size hats of new and old style. Lovely compliment when worn with the new Esteem Pearl stock.